You've added a keyboard, mouse and display to the machine, now it's time for a printer too. AppleInsider explains what you need to know and what you need to decide before you spend your money. If Johannes Gutenberg were alive today, he'd be amazed —partly at how printer technology has progressed but chiefly at how fiddly ink cartridges are. He'd also be a bit puzzled how the printer is so cheap as to be practically disposable but the ink costs about $2200 a gallon. It is a funny world, but it's now also one where the primary question about buying a printer is whether you need one at all. If you only ever print out the odd page then you certainly don't need a high-performance color laser printer and maybe you can just skip it completely. Get your client to print the sheet for you. Use a local library or Internet cafe. We're saying that we all do so much online now than on paper that you can do without a printer more easily than ever. We are definitely not saying that you can print out your novel at work. You do most certainly need a keyboard for your Mac mini and undoubtedly you must get a display at least for setting up the machine. A mouse or trackpad are pretty essential too. Yet a printer isn't. Nonetheless, if you do need a printer to use with your new Mac mini then in theory the decisions and the choices you have to make are the same as if you had any computer at all. In practice, just to narrow down some options and get you to the answer quicker, we're going to make some assumptions. People who buy the Mac mini may do so for myriad reasons but those are unlikely to include that they're doing high volumes of intensive Photoshop work as they print roadside billboards. 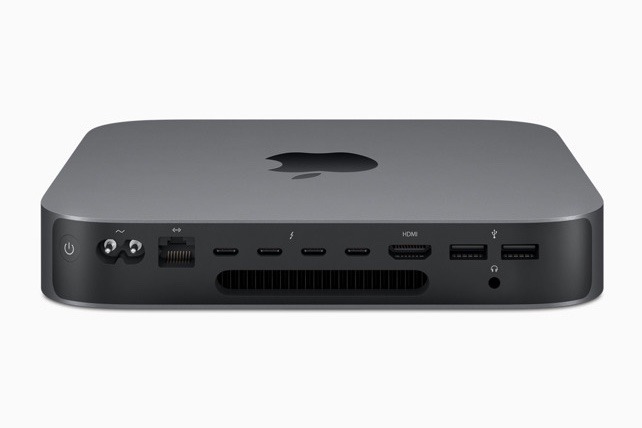 The Mac mini is a powerful machine but it is small and, at least comparatively, inexpensive. So we're not looking for a printer that costs more than it, we're looking for an economical one that is quick enough when you're doing short jobs. Just by making a thoroughly sweeping generalization there, we've cut out untold hundreds of printers. Go one step further in thinking about how you'll use one and you'll narrow the options down even more dramatically. Think about how much and how often you expect to be printing anything out. Then triple that because once you have the printer, you will use it more than you expect. Next, think about who you're actually printing it out for. If it's that you like sitting at a couch with a pencil in your hand as you physically mark up pages, that's one thing. If it's work that you will be handing to a client in order to get paid, that's another. There is also the question of how long you're prepared to wait for your pages and the answer to that is not entirely down to your patience. If you found a model that printed one page per minute but you have a thousand-page funding application to get to your client, nobody is that patient and nobody could afford to be either. We can see you thinking about printers with scanners and faxes in. Please don't. Multifunction printers were briefly the rage and occasionally come back into fashion but they have never even tried to address our central problem with them —if the scanner breaks and you have to send it off for repair, you've just lost your printer too, and whatever else was in this Inspector Gadget-like device. Plus, none of them seem very good at the things that they say that they can do on the box. We're going to recommend some printers that do have scanners in but we're not going to lift the lid and scan anything. All we want is the printer. If you're in a hurry, let us direct you to the Brother HL-L2350DW. 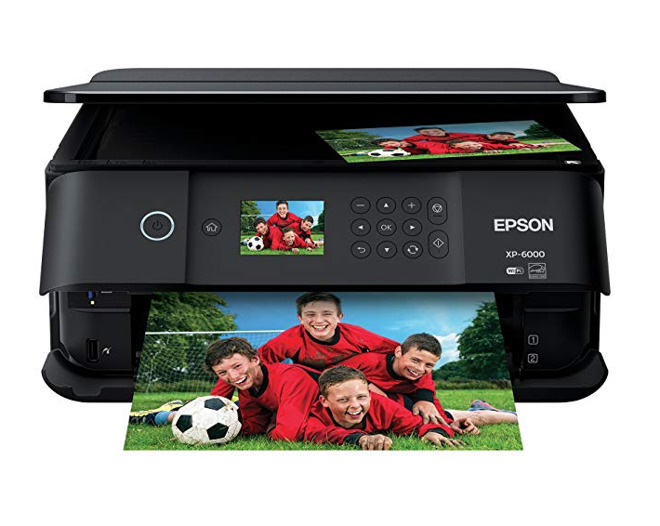 It's a black and white laser printer which is typically available on Amazon and other stores for around $85. It does come with a scanner but we won't hold that against it. There are many reasons we pick this and most of them apply to all laser printers in this class. Laser printers produce crisp, clear text that looks excellent, for one thing, and this model is rated as printing at 32 pages per minute. There is the issue that they look so good because laser printers use toner cartridges and those are expensive. 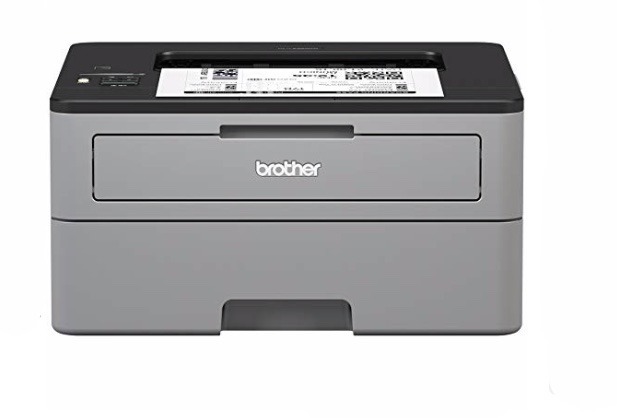 One for this printer rated for about 3000 pages typically costs around $40 so nearly half the price of the Brother HL-L5200DW itself. However, laser printer toner cartridges are better value if you only print out rarely. If, say, you don't print out anything at all for a year, a laser printer will still produce fine pages when you do. And an inkjet printer may not. That's because they rely on ink cartridges and over time, these can clog. For this reason, inkjet cartridges come with an expiry date. Even if you don't take them out of their ridiculously convoluted packaging, you can expect a cartridge to last no more than 18 months. That said, those 18 months can be filled with color. To our eyes, text from inkjet printers never look as good as monochrome laser ones do but it is subjective and we've yet to turn our noses up at any pages from one. Then models such as the Epson Expression Premium XP-6000 can produce full-color photographs and you're not going to get one of those out of a mono laser. You can print black and white text pages on inkjet printers so they are more versatile and they are also cheaper: that Epson model may retail for $150 but it's typically on Amazon for $60. Then a black ink cartridge for it costs around $12.99. It's oddly difficult to find the right cartridge for your printer just because there are so many different ones. However, printers like this one now include Amazon Dash Replacement: they're capable of ordering replacements for themselves when they're running out. This can be good or bad, depending on how you want to look at it. 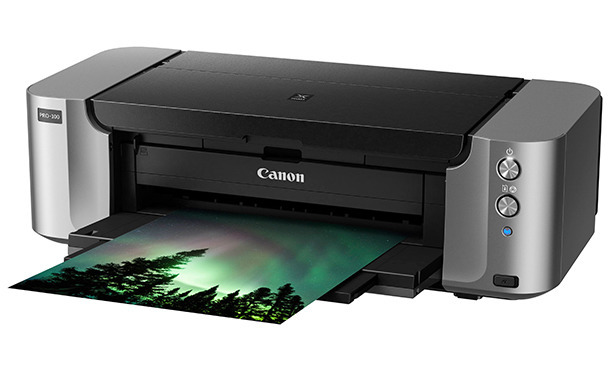 If it's photos that you're going to be printing out the most and you're less concerned about cost, there is the Canon PIXMA Pro-100 which typically costs around $312. Ink cartridges for it usually cost around $17. We pretty clear on how you get a monochrome laser printer when you want just text or an inkjet when you want color photos but there is another way. 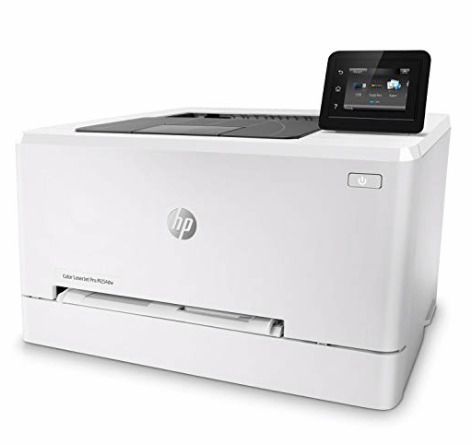 You can get a color laser printer such as the HP Color LaserJet Pro M254dw. It's hard to pin down a price for this: depending on when we look we've seen it sold anywhere from $150 to $300. However, on the good side, this has the feature of laser printers that it won't clog up and it has the precision color. On the bad side, it's a big machine, when you need to replace the toner that comes with it, you're looking at $400, and you're still probably going to want to send your snapshots out for printing. You only have to do that twice to have paid more for the cartridges than for your Mac mini. If our wireless printers go wrong one more time, we're just going to phone our clients and describe the pages to them. To be fair, it's usually when you first setup a new printer or if you haven't used it in a long time that you tend to hit complexities. A typical HP printer, for instance, is now reasonably straightforward in what you have to do to get it working with your Mac but you won't believe that as you schlep through the instructions. Printers are curiously delicate machines so watch where you place them. So many printers have their paper tray in the bottom and if you've placed them on an uneven or an interrupted surface, you'll have problems printing. Equally, though, when you've a good printer and it's working well, nothing beats the convenience of being to print off anything you need, any time you want.